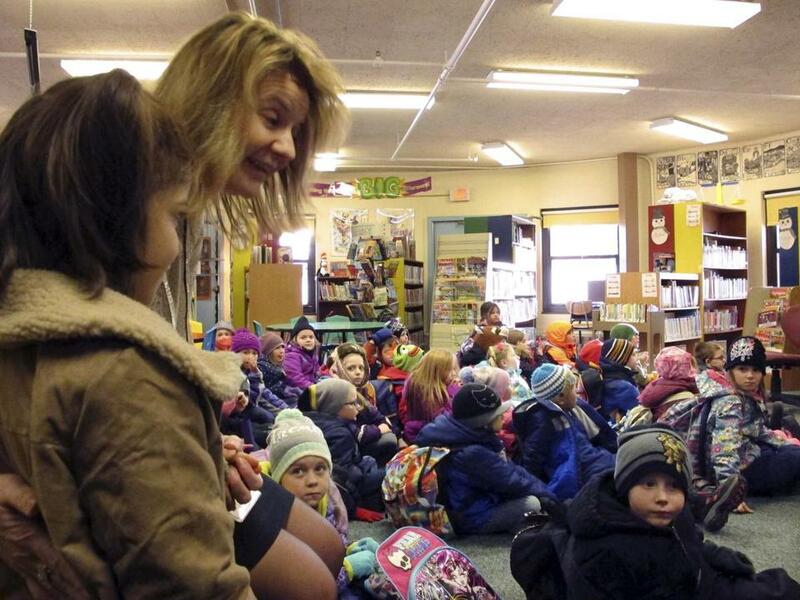 Kerry Coarse, coordinator for support services for the Northwest Primary School, in Rutland, Vt., introduced Dania Khatib, left, to students at the school on Jan. 27. Khatib’s parents fled Syria in 2012 and the family lived in Turkey until they arrived in Rutland earlier last month. Every day I teach history to more than 100 recent refugee and immigrant students at a Boston-area public high school. 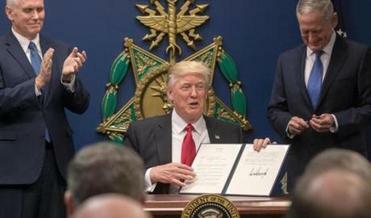 I want to put a human face on a few of the tens of thousands targeted by President Trump’s executive order on immigration, directed against refugees and Muslims. My students come from across the globe, many having fled violence in their places of birth to find safety, freedom, and opportunity in ours. In their short lives, these young men and women have faced unimaginable odds. They have escaped war and bloodshed in Iraq and the Democratic Republic of Congo. They have grown up in refugee camps in Thailand and Turkey. They have fled gang violence and thugs in El Salvador and Somalia. They come from more than 30 countries in all. Despite all they have endured, my students arrive in my class every morning energetic, enthusiastic, and passionate. Their dedication is inspiring. They work to master English, they work to get good grades, and many work long hours before and after school to help support their families. They are driven by hope and by ambition. Confidently they tell me of their dreams of becoming heart surgeons, computer programmers, forensic scientists, criminal rights lawyers, journalists, and teachers. Common to all: the desire to contribute to their adoptive country. Niki Mossafer Rahmati, a junior who has a multiple entry student visa, had been trying to return to school after winter break. Even as young people, they are already making a difference in the lives of others. Last spring, my students spent months developing initiatives to support teen parents; this year the school adopted many of their recommendations. This winter, my students tenaciously researched and wrote op-eds tackling problems they cared deeply about — on issues ranging from preventing bullying to encouraging healthy eating to supporting homeless children. Every week, college students who graduated from my class last year return to mentor my current students. Just last week, one of my sophomore girls began strategizing about how to start a school program to teach girls self defense. I believe these young men and women are key contributors to America’s future. We must never forget that we are a nation made great by the ideas and dedication of generations of immigrants and refugees. My students’ stories are the stories of so many Americans. Their story is my story — the story of my Jewish great-great-grandmothers and -grandfathers who fled the pogroms of Russia, bringing their energy and talents to the shores of a distant land. Closing our borders will not make us significantly safer. Indeed, it will probably make us less secure, as our exclusionary policies will become a rallying cry for radicalization. In our best moments, America has richly benefited from the vision, drive, and entrepreneurship of the immigrants we take in. In our most shameful moments, such as during the Holocaust, we have turned our back on those in need. To be unsympathetic to the plight of the world’s displaced is to be un-American. They believe in America. We will do well to believe in them. Jessica Lander is a teacher and writer.